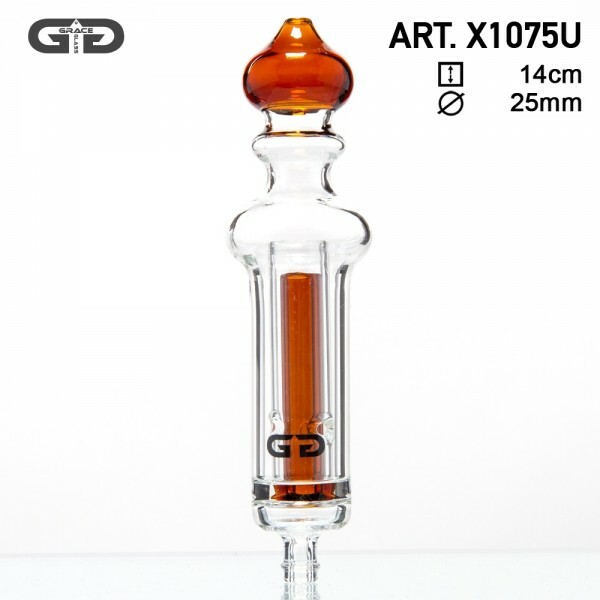 This umber Grace Glass Indian Dome comes with an inside percolator that bubbles up your smoke! You place it on the mouthpiece of a vaporizer for producing extra smoke filtering. The black Grace Glass logo is imprinted at the front of the percolator.